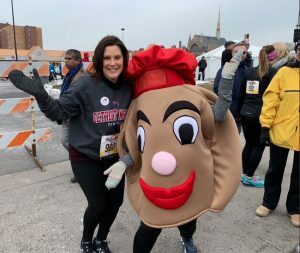 On Sat., March 2, Governor Gretchen Whitmer ran the Paczki 5k Run in Hamtramck. To keep warm on a frigid morning, she represented our very fine School of Dentistry in a cozy Detroit Mercy Dental sweatshirt. The governor knows to trust a Detroit Mercy dentist and we are proud to see her spread the word! 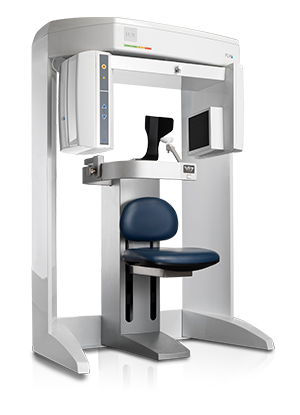 The Oral and Maxillofacial Imaging Center (OMIC) recently upgraded three-dimensional scanning equipment with two cone beam computed tomography scanners. The new units allow for a more accurate and versatile reconstruction of scan data to enhance the diagnostic quality. The i-CAT FLX V17 unit will be used mostly for diagnostic examinations such as orthodontic evaluation, assessment of the alveolar processes for potential implant sites, evaluation of impacted teeth, and visualization of large pathologic lesions or abnormalities that are more distant from the maxillomandibular region. The Carestream CS8100 3D will function primarily as investigation of teeth for root fractures or other endodontic diagnostic tasks requiring greater spatial resolution and assessment of limited regions of the jaws for implant placement. It also allows capture of panoramic images. The OMIC provides services to our patients undergoing treatment as well as accepts referrals from private offices for CBCT scans. Every scan includes a written report by a Diplomate of the American Board of Oral and Maxillofacial Radiology. If you are interested in referring a patient, please contact us at geistjr@udmercy.edu. 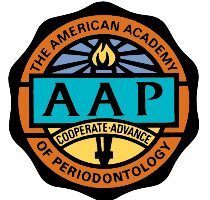 The Graduate Periodontics program was honored to have articles accepted and selected to be on the cover of the American Academy of Periodontology journal, Clinical Advances in Periodontics. 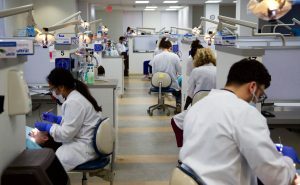 The journal is published quarterly, which means Detroit Mercy Dental was on the cover of two of its four issues in 2018; the June and December issues. Faculty names are bolded, resident names are not bolded. June 2018 Cover: Ambrosio F, Gadalla H, Kapoor N, Neely AL, Kinaia BM. Surgical Lip Repositioning Procedure to Correct Excessive Gingival Display: A Case Report of Identical Twins. 2018;8:48-53. December 2018 Cover: Neely AL, Choksi K, Othman A, Patel K, Zhou Z, Kinaia BM. Atypical Clinical Presentation of Pemphigus and Its Management: A Case Report. Clin Adv Periodontics 2018;8:145-150. On Fri., February 8, Drs. 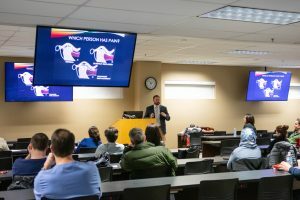 Daniel Harper and Darya Dabiri joined us as guest lecturers, presenting to residents and faculty from Endodontic, Orthodontic and AEGD programs. Their presentation titled, “Overview of Orofacial Pain with Emphasis on Underlying Mechanisms,” focused on centralized pain and how it can affect patients undergoing treatment for painful TMD. Harper is a research investigator in the department of Anesthesiology and Chronic Pain & Fatigue Research Center at University of Michigan; his work focuses on pain mechanisms so treatment may be tailored to individuals based on underlying pain pathology. Dabiri is an adjunct clinical lecturer in Hospital Dentistry and research investigator in the department of Anesthesiology, University of Michigan School of Medicine. She is principal investigator of a research project devoted to improving understanding of treating children with dental pain issues.